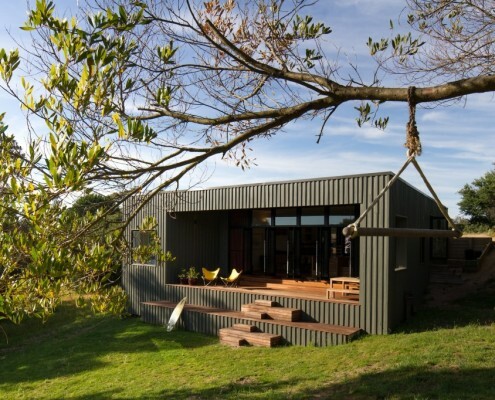 "MRTN Architects was formed by Antony Martin and is located in Melbourne, Australia. We have been working on a variety of interesting jobs that have included new homes – in the city and in the country, transformative renovations and stylish shops. 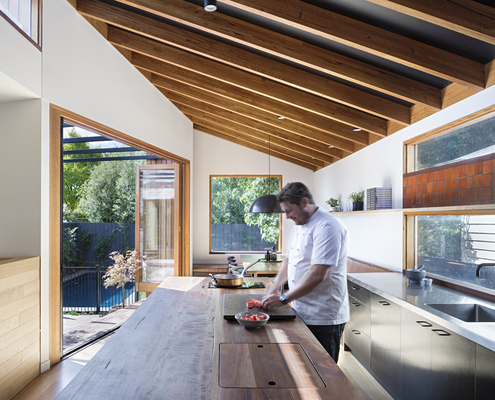 Antony is closely involved in all projects and has over 15 years experience working as an architect in Australia and the United States. He has been fortunate to work on significant buildings such as the Melbourne Museum, the Apollo Theatre in Harlem and the Australian Pavilion in Shanghai for World Expo. 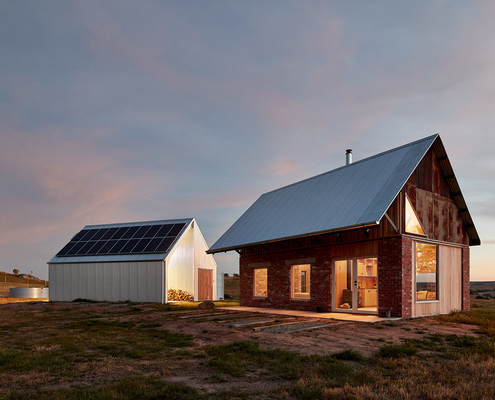 Our projects aim to have in common a considered design approach that results in buildings that use materials wisely, inherently efficient and great to be in. The process of design is a long journey but one that is incredibly rewarding for those that go along on the ride. Our clients have made the bold choice to embark on a project and appreciate the value and experience that an architect can bring to the table. Our approach to design is not prescriptive one, we enjoy getting to know our clients and working with them to arrive at an outcome together. This process should satisfy what is required of the brief and the desires for the project but also create something unexpected and wonderful." 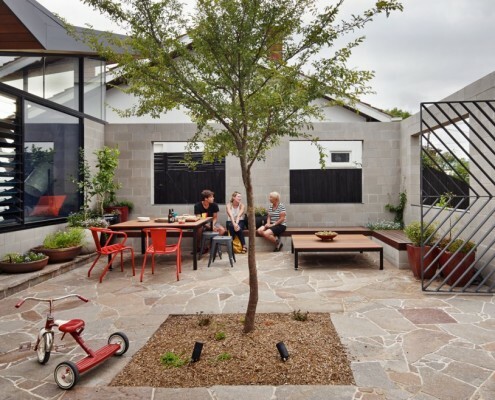 Fairfield Hacienda by MRTN Architects Fairfield Hacienda: Finally a Front Yard You Can Actually Use Fairfield Hacienda offers an alternative to the often wasted front yard. 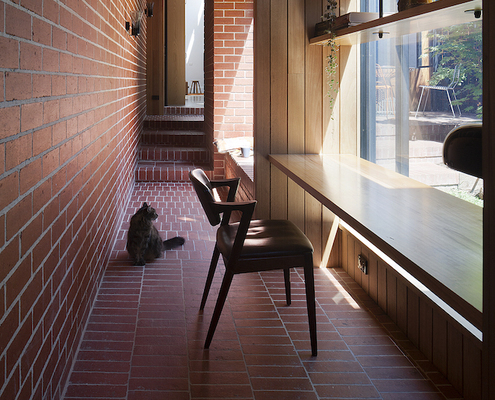 MRTN Architects have created a sunny, private courtyard at the front of the house. 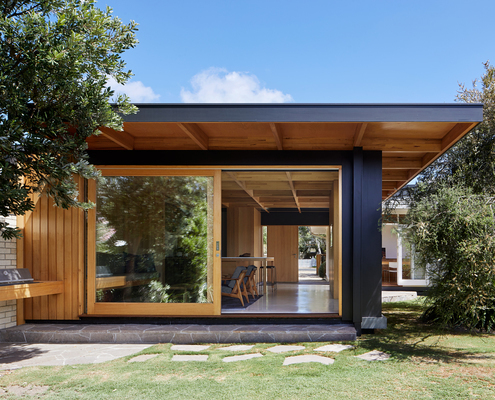 Carlton Cloister by MRTN Architects A North Facing Cloister Connects This Terrace to New Master Bedroom Dealing with poor orientation this North-facing cloistered space acts as circulation and additional indoor/outdoor living space. 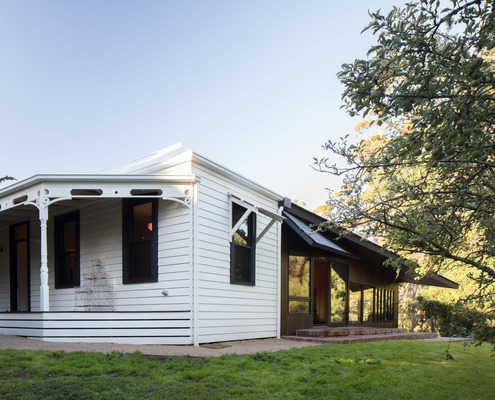 Shadow Cottage Daylesford by MRTN Architects Daylesford Cottage Updated with Sensitive, Japanese-Inspired Addition With the option to demolish and start from scratch, MRTN Architects instead create a sensitive addition to this Victorian cottage. Rathmines by MRTN Architects Take a Look at the Kitchen of This Renowned Chef and Restaurateur The kitchen is the heart of Chef and Restaurateur, Scott Pickett's home, making it the perfect place to entertain friends and family. 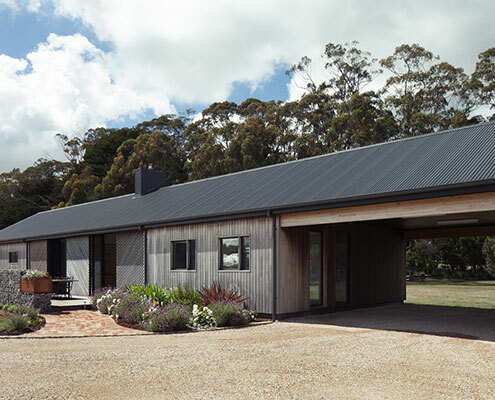 Nulla Vale House and Shed by MRTN Architects An Off-Grid, Back-to-Basics Retreat Connects This Couple to the Land This warm, textural home creates a connection to place, captures views and creates a humble retreat from the elements (and the city).